It's a beautiful thing to watch how God uses many people to draw just one person back to Him. God writes people into our stories; some for just a brief chapter and others that carry through from cover to cover. Our son Jackson is only 6 1/2 years old but already many followers of Jesus around the world have poured into his life and God has used the totality of them to lead him to a major milestone in his life. 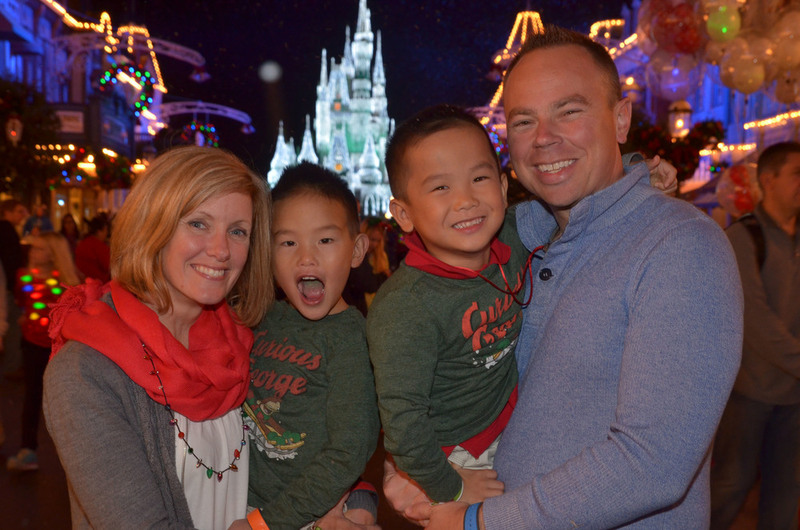 In the earliest moments of his life it was women like Juanita Hebard and Samantha Sanford who were serving at the Ray of Hope in Tainan, Taiwan (a Christ-centered crisis pregnancy center) who cared for Jackson and his birth mom when she came knocking on their door. They were the among the first to be Jesus to him. It was them who put Jackson in the capable and caring hands of Ted and Bev Skiles (affectionately known as Shr Mama and Shr Baba) at The Home of God's Love on the opposite coast of Taiwan. He would spend his first six months of life being loved on by some of the most amazing people on the planet like Showhwa, Jen Jen and Jess W. Every baby at THOGL not only receives stellar physical care but they are prayed for over and over again by these spiritual warriors. One of my favorite videos I show to Jackson is when we were about to say goodbye to Shr Baba at the train station and the tender goodbye and blessing he spoke in the ear of my son. I couldn't help but think of Ted while Jackson was being baptized on Sunday and that his blessing was coming to fruition. When we arrived back home in Miami, Jackson was welcomed to the states by his Grandpa and Grandma Mehaffey who have been a shining example of Christ to many (including yours truly). Their generosity of love has left an indelible mark on Jackson from the sweet songs Grandma sung to into his ears as she would hold and rock him to Grandpa's many words of encouragement and joy of giving. It was no surprise to anyone to find them cheering Jackson on from the front row on Sunday even though they had to travel quite a distance to be there. And then there are all the amazing people at the North Terrace church who have poured into Jackson over the last three years whether it was teaching him in NT Kids, encouraging him with just the right word when he was in a play or program, coaching him in youth basketball, greeting him in the hallway with a warm smile and showing him we really are a family of brothers and sisters in the bond of Christ. There are WAY too many people to mention but just know that my son gave his life to Christ in part because he saw Jesus alive in you. And Janie and I are forever grateful for that.